The New York Times may be the world’s most recognized newspaper, but even they cannot withstand the changing times forced upon the journalism sector by the internet. With free news available to all online, newspapers are trying to find a way to remain both relevant and profitable. According to the report ‘Turf War at the New York Times: Who Will Control the iPad?’ at Gawker.com, a New York City-based media rumor and news website, The New York Times has just entered into a battle against itself over the not-yet-released iPad. The central tenant of this argument is the pricing for the new Times app for the iPad. The print circulation team wants the price to be $20 to $30 per month per customer, while the digital side wants both control over the app and the pricing to be placed at $10. To break down the argument on both sides, the print circulation team represents old school journalism and the control of the Times print edition – the edition that is quickly becoming unprofitable. They want to use the higher pricing on the app to leverage the costs of the print edition and to keep it running as it always has. This would also mean a portion of the control over the app’s finances and features would be in the hands of the print circulation team. Their opposition, the team in charge of the Times’ current digital content, is saying that the price is far too high when compared to other online newspapers, especially considering two major factors. The first is that several other major newspapers have agreed to hold off on forcing online customers to pay subscription fees until 2011. The iPad will be out much sooner than this. The second is that current Times subscribers to the Times Reader (which can be downloaded onto any computer, unlike the iPad version, which will be exclusively for the iPad) currently only pay $15. The digital team doesn’t want that much of a difference between pricing. Unfortunately for the digital content team, it appears to Gawker that New York Times Media Group President Scott Heekin-Canedy is currently siding with the print circulation team. In another report by Gawker titled ‘The New York Times’s iPad Fight Was Part of a Longer Civil War,’ the answer is given that this is all to try to protect the failing print edition at any costs. Essentially, this battle is not new for the Times. When the Times Reader was introduced, insiders reported that the digital team wanted a price of $6. Instead, the price was kept significantly higher to stop customers from ending their subscriptions to the print edition of the paper. In a journalism world where magazines and newspapers are shutting down every day, why would the industry leader back away from new technologies and try to impose yesteryear’s pricing on today’s digital models? Customers in today’s market can easily realize that the production costs to create a web or app version of The New York Times is far below the production cost of the printed model. 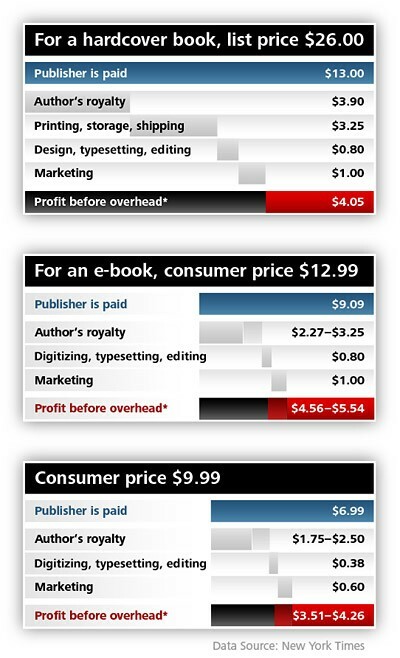 The customers aren’t going to pay for what they see as too high a price. Essentially, if the Times goes with a $30 iPad subscription fee, why would anyone bother to pay for it when they can get the real thing for just a little more? The move could be self-sabotaging or it could prove that customers are willing to pay for the convenience and quality of the New York Times when so many other free sources for news are available. In short, only time will tell which route the Times will take and which one it should have taken.